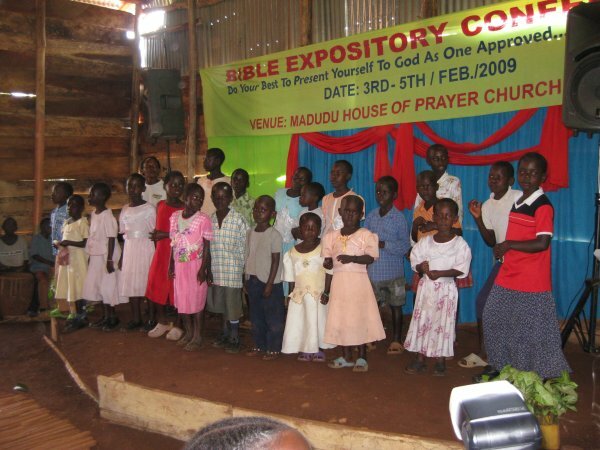 2nd annual Bible Conference held at Madudu House of Prayer Church. FFCM and Hessel Church conducted the 2nd annual Bible conference this February. Nicolai Pederson taught through the entire book of Philippians while Pastorn Andy Sodestrom taught a series on Heaven. During the afternoon, Kathy Sodestrom and Mary Cooney taught the women about Mary, and Andy Sodestrom and Steve Prudhomme taught sessions for the men. 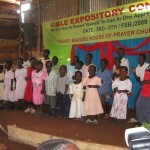 Participants also enjoyed energetic worship sessions led by members of several of the churches present. Next year’s 3rd annual Bible Conference is already being planned. In February a project team from Hessel Church came to Nyenda Island to begin construction of 2 new composting toilet facilities. Pastor Patrick also put in the first biosand water filter on the Island.